Sydney Shop Girl: Continental Drift 1/4/2018: On Being Australian. Wecome to our Continental Drift linkup! The reason we are dabbling at a link up was that we thought that there are so many genre of bloggers out there that we could learn from that we decided to gather a knowledge and lifestyle share in one place once a month. On the first of the month we will host the Continental Drift. The concept for myself and my fellow hosts ( Bojana of Bodaciousblog , Anna of Mutton Years Style) is that we, the hosts, write a post about our life or life in general on our continent/Country/state over the past month (hence the name) and our favourite thing from the month. You as a linker can post on any family friendly topic that you like be it DIY, cooking, sewing, crafts, lifestyle, de-cluttering, RVing across Mexico or Alaska, moving house, fashion, style, beauty, make up. Your hosts to this linkup come from UK, Canada and Australia. 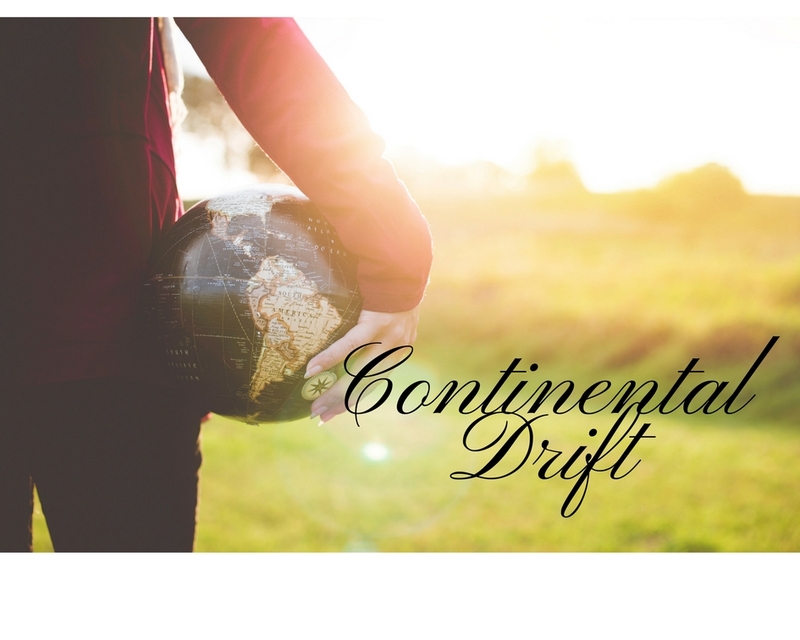 I'm excited to be part of'Continental Drift' this month. Basically, I love my country. For all the stereotypical reasons that the tourism board of Australia chooses to sell us as a tourist destination but also for the many other less obvious reasons that you'd only get to appreciate if you've been born here or lived here practically all of your life. There's just this thing about being Australian. For every iconic image that the world sees of us, we will be guaranteed to find reimagine it from the angle of self deprecating humour or else completely rework it in a riot of colour. We have stunning sunrises and breathtaking beaches and you are welcome to enjoy both dressed as you please and with a luxurious amount of personal space that I think few in other big cities of the world could truly appreciate. As a nation we've come so far in some issues that have divided our nation. Yet we have so very far to go in others. 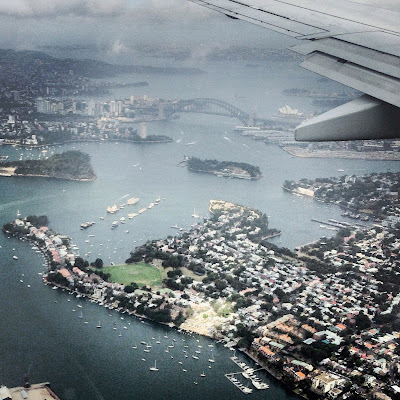 Moving away (for just a little while) from the our idyllic landscapes and record on human rights issues and onward to the minutiae of daily life as a Sydneysider. I have a feeling they're very similar to the daily goings on in the cities of England and Canada but to a soundtrack of slightly different accents and against a backdrop of different landmarks, stores and points of interest. Our shopping centres boast both excellent coffee and department stores that open ridiculously long hours. It is more than coincidence that the baristas start their work the moment the Target roller doors swing open for the day's trade. Big wins on any given day include not getting lost whilst following your car's sat nav and the unicorn status of being among the first to enter a shopping centre car park. Being a tourist in your own city never gets old. And I always get a warm feeling in my heart seeing how wholeheartedly the city embraces the various celebrations of the different cultures that make up our identity. We really do live in a lucky country. The thing I love most about style and fashion in Australia is that there are no rules and no slavish devotion to trends or any one label. There's no one design aesthetic among Australian labels and high street meets high end on a regular basis for many women. I like that we can be inspired by global trends and design houses but can still inject a little something to reflect our Australian-ness and essentially laid back approach to dressing. Actually, perhaps I shouldn't be so strident in speaking on behalf of the nation's entire female population. These days my wardrobe almost exclusively consists of things I've bought overseas online or on my travels. One of the things I take for granted living in Sydney is the diversity of food I can readily access on a daily basis. Fresh fruit (both in season and imported) is a given every day of the week. We have bakeries here that make the carbolicious favourites of everywhere from Hong Kong to Portugal. The good old sausage sizzle (one barbecued sausage encased in a slice of zero nutritional content white bread or a hot dog bun usually sold as part of some kind of fund raiser, the ritzier the postcode of sale, the fancier the sausage) is one of those uniquely Australian traditions that is synonymous with weekend trips to hardware stores and also voting in federal and state elections. There's even webpages devoted to locating the highest quality sausage sizzle in your electorate. While we do love coffee, we're also a nation of tea drinkers. 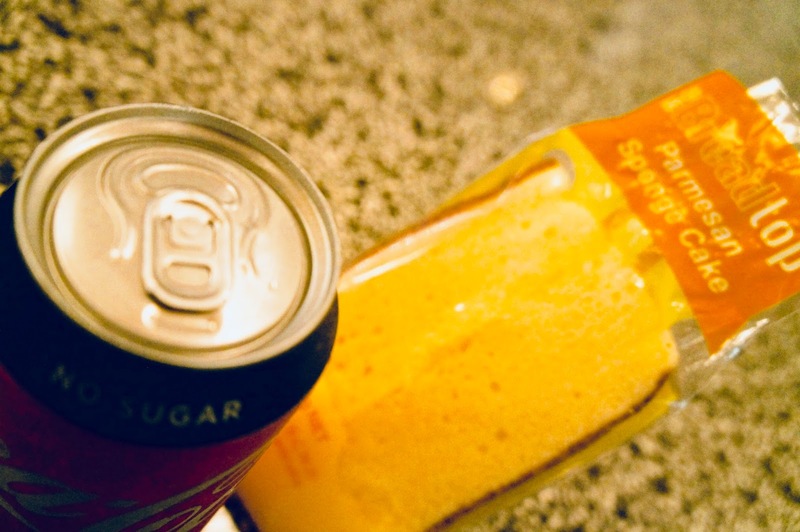 The supermarkets are stocked not only with Australian brands but also imported brands like Barry's from Ireland and Yorkshire Tea from the UK. T2 is my favourite brand of Australian tea. Morning Sunshine is on high rotation at my place each morning because positive visualisation is everything when you're waiting for the kettle to boil at 5.30am. Day to day life as an Australian is a day to day life of freedom, peace and safety. I take far too much granted each day and I also am far too quick to inwardly eye roll at the perceived antics of those around me. I love travelling the world because each trip both broadens my horizons as well as reminding me of just how much I have back home. What does being a citizen of your country mean to you? Perhaps beyond the preconceptions outsiders may have of your city? Curious about what Bojana and Anna wrote this month? How about popping over to their blogs and reading more. Now please do follow each of your hosts Bojana of Bodaciousblog , Sydney Shop Girl and Mutton Style on at least one platform (Instagram, Twitter or blog)and comment on their blogs. It would be great if you could read and comment on the blog above yours in the link up. You might make a new friend. Please also do add a link back to our blogs on your posts to help the linkup grow. Great to read al three of your posts! Marvelous idea! Happy Easter! You've kind of sold me on putting Australia on my bucket list. Several years ago I had a student move to our city from Australia, right before Christmas. I enjoyed learning about her traditions that were very different, yet surrounded by family, friends and lov just the same. I am very much looking forward to getting to know you through this little journey of ours. I've never visited but do so want to. Maybe a retirement plan holiday when I can take the time. It was an Australian blogger that first introduced me to Aperol spritz and Offspring. Thank you for the trip to Oz. Thank you so much for sharing all of this fun information about your country! And thanks for the fun link up! at the front of our house is a flag pole which has a jasmine climbing up it and this post has inspired me to put it on my very long to do list to fly the Australian flag. everything is done at a snails pace here but it is on the list!